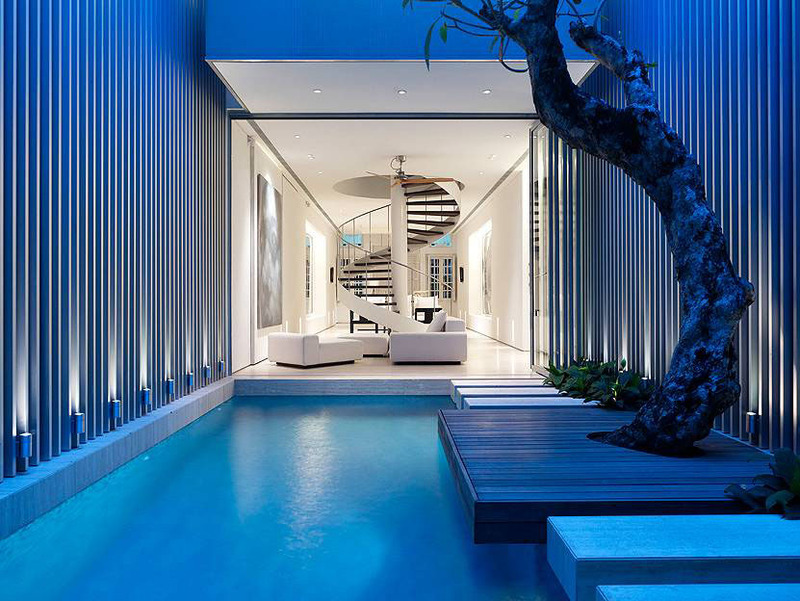 This contemporary renovated home was originally a shophouse in the early 1900’s. Designed by Ong & Ong, the family home has a fresh elegant modern look in the interior while preserving its historical elements on the exterior. 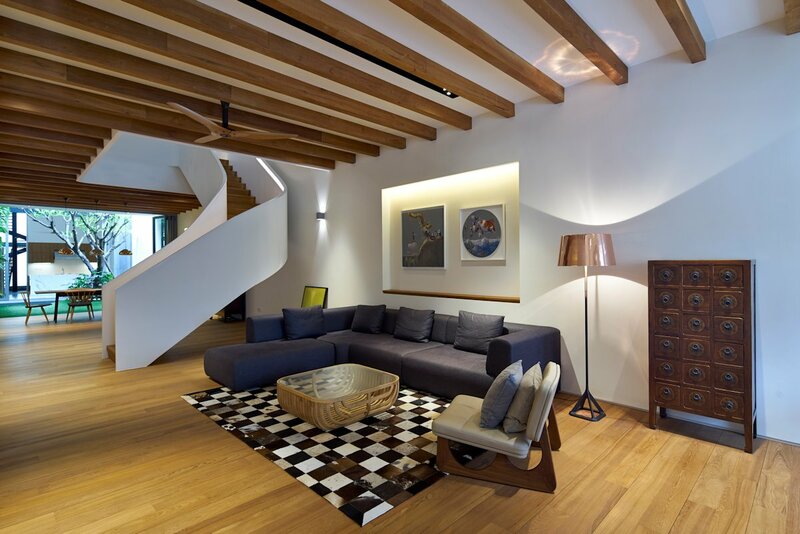 The renovation and restoration project for this art deco style shop house in Singapore on 55 Blair Road was an opportunity for architecture and interior design firm Ong & Ong to promote open plan living. The courtyard with swimming pool serves as a large light well with aluminum walls to reflect sunlight, brightening the house and its enclosed spaces. The minimalist approach to the interior design with white walls and minimalist kitchen and bathroom creates a relax environment for its occupants. This modern home strikes a balance between nature and open plan contemporary living.